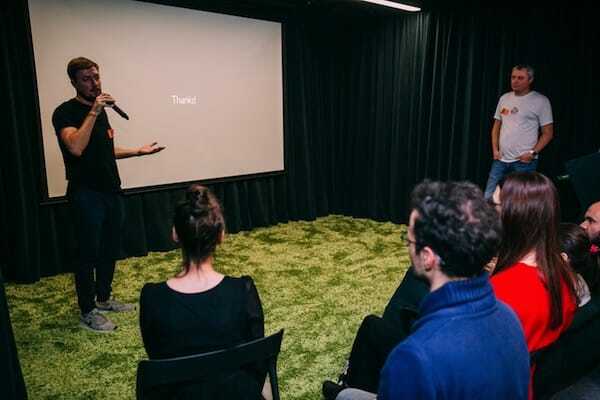 Learn how to host a successful Product Hunt event. 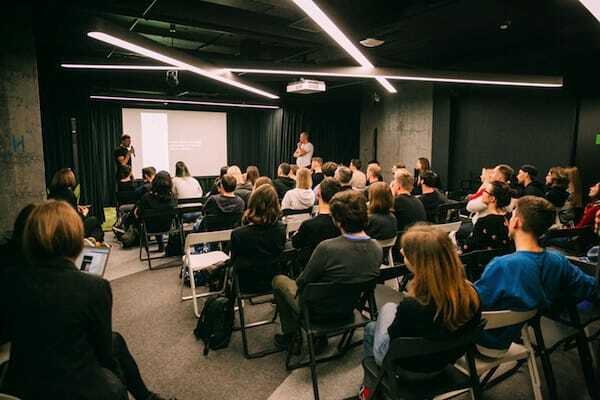 We recently hosted a Product Hunt Meetup in our home city of Kyiv, Ukraine, so we’d like to share with you our experience and (hopefully) inspire others to do the same. It was awesome - everyone who attended loved it - and such a great way to meet other startups and tech sector professionals. Earlier this year, some of the Setapp team attended TechCrunch Disrupt SF in San Francisco, California. We also had several meetings on the West Coast, went to some tech/startup meetups, and then met the Product Hunt team at their office. We had a great time meeting them, and it was great to see the cool office they worked in. After that meeting, there was no doubt that we wanted to do more to support the Product Hunt community. In our own city, Kiev, there are numerous tech and startup meetups and networking events, but no one has ever held a Product Hunt Meetup. PH Meetups are completely self-organized. However, they are very supportive of every initiative, will help as much as they can and are happy to send out bags of swag (T-shirts, stickers, tattoos, etc.). Funnily enough, with the time it takes to post bulkier items from California to Ukraine, ours didn't arrive on time. So we are going to announce when they do via social media and email, so people have a chance to meetup again, reconnect and get some awesome free PH goodies! Everyone had a great time, so for those considering doing the same, here is a quick rundown of how you organize a Product Hunt Meetup. Decide what you want the Meetup to be about. Don’t make it boring. 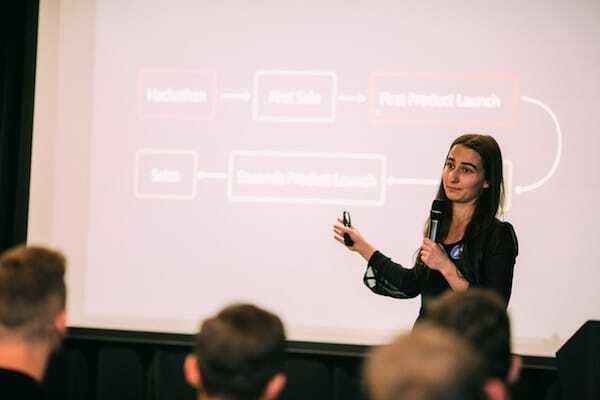 And don’t make it a sales pitch: This is your chance to connect, meet new people, collaborate, innovate, not try and hit this month's sales quota. In our case, we wanted to share our exercise of launching new products on Product Hunt. We know there is loads of useful information online - but we wanted to share real stories, real experiences and see how people can gain more from what they and we aren't always willing to share online. 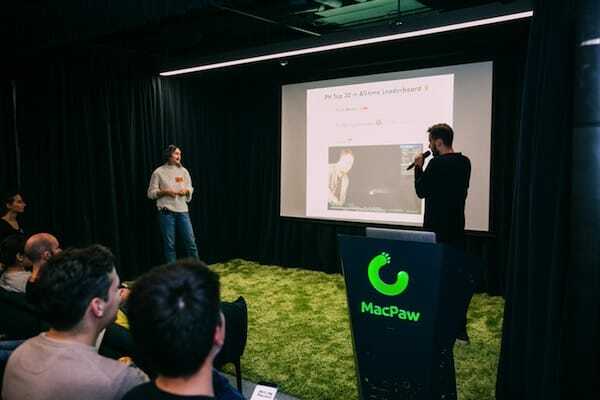 We invited the folks from Flawless app and Crello to share their experience and we shared our own experience launching Mac App Advisor on PH. Here is what we learned: Sharing real stories was amazing! No “5 steps to success”, blah blah blah! None of that, just other tech professionals, startup hustlers and entrepreneurs sharing real, brutal, and sometimes funny stories (such as, “Our Hunter went to bed and forgot to hunt, and we had to find a way to wake him up while being thousands of miles away!”). Nothing compares to real and honest stories, knowing that others are experiencing similar things to you and how they overcome some of those challenges. Meetups like that, when people get the chance to really talk create amazing opportunities to connect. Next, you need to decide who to invite. Invite people who will benefit from attending, and who will benefit from meeting others on your list. So unless you want lots of small talk about taxes and sales pitches, maybe a tech Meetup is not the right time to invite a lot of accountants and tax specialists. Now if you wanted to help business owners understand taxes and year-end accounts, you should invite accountants: It all depends on what you want to achieve. For this Meetup, we invited entrepreneurs, developers, designers, marketers and product managers - those who would benefit from attending. Don’t plan a Meetup for next week and wonder why no one has the time to attend. Start promoting at least a few weeks in advance. Share - more than once - using social media, email and even write a blog about it beforehand. Create an easy way to ensure people can book, such as an Eventbrite page for the Meetup. Ask that any other companies attending or sponsors also promote the event to get people looking forward to the Meetup. We are lucky to have an amazing office with large a conference hall and a lot of space to network. But for those who don’t, see if you can host in a co-working space or somewhere similar, where you will probably encounter many who would love to attend. Dividing the event time between speaking and networking is useful so that everyone gets a chance to talk and make new connections. Plenty of good food and drinks makes an event like this even better. Great chance to promote - in a non-salesy way - your product, company and brand. I hope this article helped you understand better what Product Hunt Meetups are and how to host them. I would love to hear your thoughts if you've hosted similar events! Thank you. P.S. More photos are available here.